Limo Companies can provide much more than just proms and weddings. Are you wanting to spend a quality night out with your significant other? Maybe a nice romantic dinner, sightseeing, maybe some clubbing? Let’s take it a step further, perhaps you want to get away for the weekend to the big city, or even on a wine country adventure? 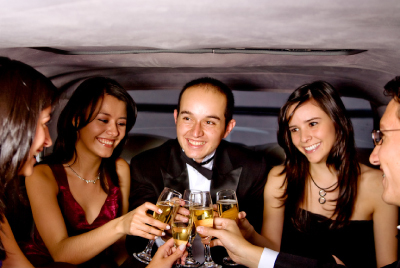 Limo Companies like The Limousine Service; you can turn a casual evening or night on the town into a special event that you will remember for a lifetime. Best of all, no matter what kind of evening you are looking for, you don’t have to worry about parking, you both can enjoy a couple of drinks, and get home safely. Are you and your friends planning to go to a concert, or that big game? Why not make it safe, by hiring limo companies to get you to and from your destination. Many times when you go to these events, alcohol is involved, when it is, you need a designated driver. You can also want to forget about dealing with parking problems, traffic; Limo Companies can take care of all of these for you. While there may be a number of different companies, one stands out in the Western New York area – The Limousine Service. There are many advantages to using the right Limo Companies and The Limousine Service. They do offer Prom, Weddings, and even trips back and forth from the airport, but also so much more. They are a family owned and operated company, and have been in the business since 1986. They offer over twenty vehicles, from exotic vehicles, luxury SUV’s, and of course a wide selection of stretch limos. In addition to normal occasions, they also offer a number of specialty limousine services such as wine country trips, romantic weekend getaways, and packages for a nice and memorable night on the town, whether with your spouse, or your family and friends. Their limos a fully equipped with all the luxuries you can think of. Best of all, you don’t have to worry about getting to your destination, or a designated driver. So when choosing the right Limo Companies, turn to The Limousine Service first.